Most older houses were installed with fireplaces with large chimneys as a method of warming up the room with wood and coal fires. Not only is a lot of energy lost through the chimney in the process of burning these resources, but when the fireplace is not in use, heat will be constantly lost through the chimney breast. Now that wood and coal fires are generally not our primary method of heating, we should think about what we can do to optimise its insulation efficiency when not in use. There are a number of ways in which we can do this; however, we would suggest two. The first is an extremely interesting new invention. 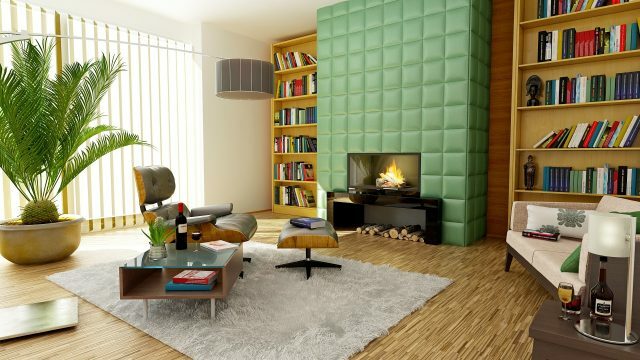 A fireplace, in many homes, can often be a focal point, meaning its aesthetic appearance thus needs to remain untouched. To do this, exterior efficiency measures are pretty much a no-go; however, there now exists a way to add temporary insulation within the interior of the chimney, stopping heat from being lost from within. Now, poking something up your chimney a couple of feet above a fire does not seem like the safest of options, but this design has been made with safety in mind. This is called the ‘Chimney Balloon’, which is made to melt if you forget to remove the balloon when you use the fire. It can be simply and safely inserted into the fireplace by inflating it and is completely reusable. The second will affect the aesthetic of your room, but is much easier to use. This is definitely the more popular option, but most likely due to its simpler and older design. You can use an external fireplace cover to block up your fireplace, thus blocking off the entrance to the chimney breast. These are available in a variety of materials; however, be wary about the quality of which you buy, or you could stand to gain very little by adding this feature. Many people underestimate the difference it can make changing your light bulbs. The majority of older houses will be installed with incandescent or halogen bulbs, as at the time, this was the latest technology in lighting. Now, we have much more choice, and as the pressure for energy saving increases, more bulbs are being developed with efficiency in mind. As such, if you change your bulbs from halogen to LED or CFL, you stand to reduce your electricity usage by 75% through lighting. A bonus tip would also be to identify the rooms in your house in which the lights are kept on accidentally the most when nobody is actually in them. Once you know which these are, you can install them with a motion sensor light switch. These devices are not expensive and will save you a large amount of money on lighting waste. See more household energy tips here. Before you think about fitting huge amounts of super expensive insulation (if you haven’t already), you should think about changing the type of flooring that you have in your house or adding some thick rugs in your most frequently occupied rooms. The same amount of energy is lost through the floor in your house as through the roof (25%), which means efficient flooring measures shouldn’t be taken lightly. Not only do vinyl, stone and ceramic floors feel cooler to the touch when walking or sitting on them, but they are actually proven to provide much less insulation than carpets and dense rugs. Changing the flooring type in your whole house, however, can be an extremely expensive investment, so you should perhaps first consider trialing a collection of thick rugs to see if you notice any differences. This is a much cheaper option and you should still see slight improvements in your heating insulation. Your front door isn’t the only door to think about when you are insulating your house. Heat loss from one room to another can be just as bad as losing it to the outdoors if no one is in the room that the wastage is heating. Plus, even if someone was, it would not be noticeable enough to use it as a heating source. As such, you should look into purchasing some draft excluders. These can be purchased in a variety of shapes and sizes, permanent or moveable, so you don’t have to compromise the design of your house in order to improve your efficiency. Previous articleJackie Kennedy’s Childhood Home!